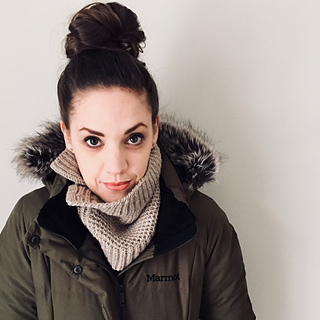 The Wreckhouse cowl is the first pattern in the Wreckhouse Collection. 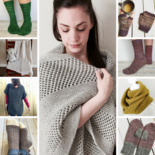 The patterns can be purchased separately, or as a collection for 25% off. Past purchases count, meaning if you’ve previously purchased one or more of the patterns in the collection, you can add the other(s) to your cart and receive the collection at the discounted price minus what you’ve already paid! For example, if you already bought the hat pattern for $7, add the collection to your cart. 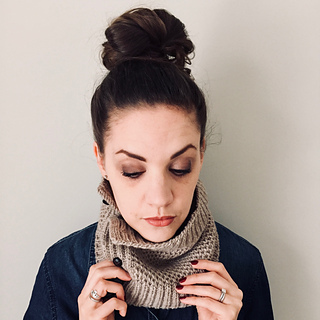 The collection price of $21 will be discounted by the $7 you paid for the hat, and you’ll get cowl, headband, and mitten patterns for $14 total. Wreckhouse is an area of Newfoundland named for its extreme winds. While the Newfoundland Railway was still in operation, the winds would occasionally blow railway cars off the tracks, and to this day transport trucks are still blown off the road from time to time. 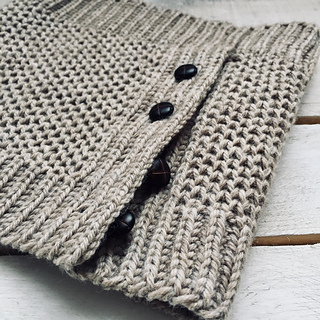 The Wreckhouse cowl is knit in thick, dense, Honeycomb Brioche Stitch, making it a stylish but also truly functional winter accessory. 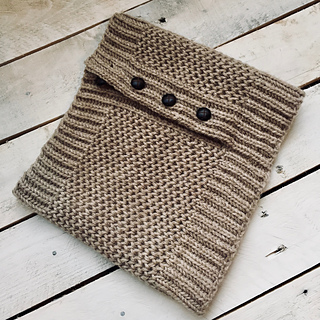 The honeycomb pockets trap warm air, making this close-fitting cowl an effective barrier against the briskest of winter winds. 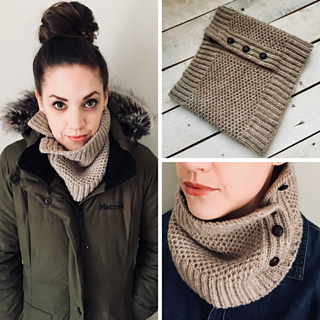 And if the thermal fabric gets too warm, the cowl can be worn partially unbuttoned (a stylish and practical option). *Shown in Cascade Yarns 220 Heathers (100% Wool; 201 m/220 yd per 100 g/3.53 oz skein) in colour River Rock (2441). Note: Please take time to check gauge. Changes in gauge will affect the amount of yarn used and could result in requiring more than one skein. 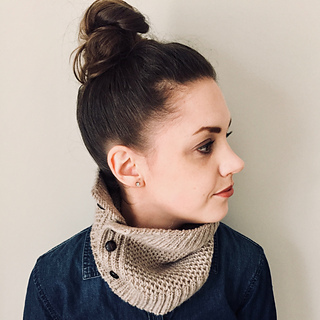 This cowl is started in the round, beginning with Brioche Stitch ribbing. Extra stitches are then cast on to form the button band. 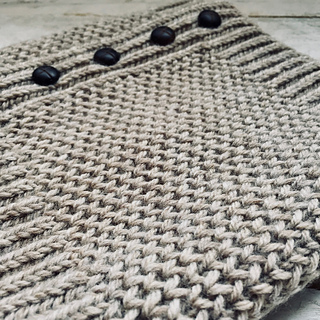 The rest of the piece is worked flat, first in Honeycomb Brioche Stitch, then finished with more Brioche Stitch ribbing (this time worked flat). Buttons are sewn on in finishing. Honeycomb Brioche Stitch pattern is written only (no charts).